Here in the US, we do things differently than most countries. While just about every other nation on Earth uses the metric system, we stick to our pounds and inches. And while other countries use different sizes and colors of bank notes, we stick to the uniformity of the Greenback. And here’s another thing that the US does wrong: exit signs. 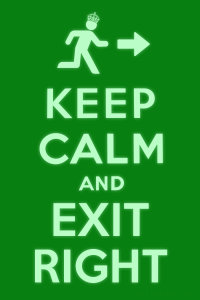 The primary purpose of exit signs is to get people out of a building safely. This is crucial when you’re in an unfamiliar place during an emergency. This means that the signs need to be universal and easily understood. 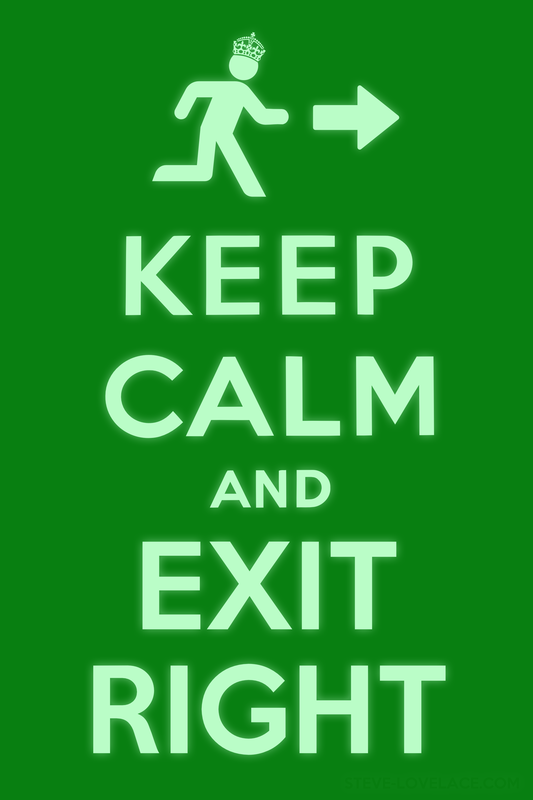 In the US, most exit signs say “EXIT”. This is fine for the vast majority of English speakers, but what about people who don’t speak English? In most other countries, exit signs have a little stick man running for an open door. They may also have the local language’s term for “exit”, but they almost always have the little running man icon. I think that it would be a good idea to incorporate this logotype into all American exit signs as well, especially as our nation grows more and more diverse. Imagine you just came to America and you don’t speak a lick of English. The lights go out, the fire alarm goes off and you look for an exit, but all you see are glowing red signs with foreign glyphs. You wonder if these could be the exit signs, but they’re red, not green. Red means stop and green means go. So are these strange signs telling which way to go, or which way not to go? The “red means stop / green means go” concept only goes back a hundred years, but in that time it’s become universal. Unlike the metric system, there aren’t any holdouts. Because of this, most countries have adopted green exit signs, to tell you to go towards the sign and not away from it. Thankfully, many new exit signs in the US have started following this convention. So even if they lack the running man pictogram, they are still much easier for non-English speakers to understand. I try to be a non-conformist in everyday life, but I also know that conformity can be a good thing. I’m glad that a red light means the same thing wherever you go. And while I don’t want to the US to lose its culture and identity, I think we should change our exit signs to match everyone else’s.